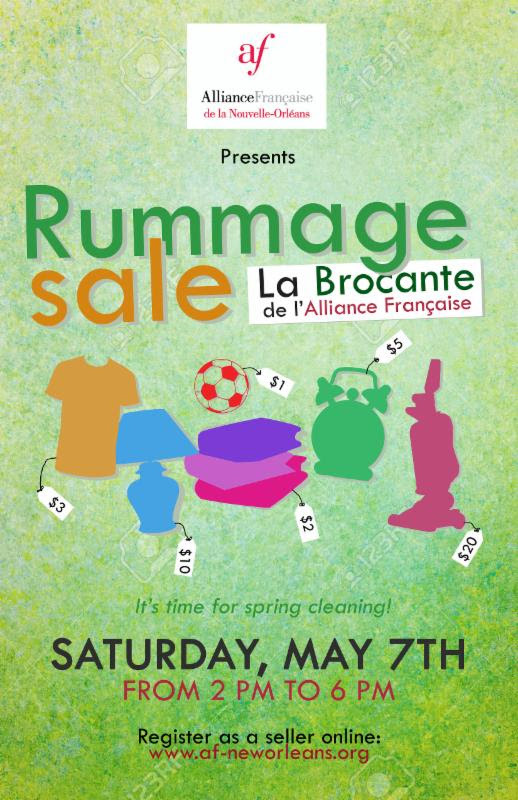 Alliance Française de La Nouvelle-Orléans will host “La Brocante”—a rummage sale featuring jewels, toys, collectibles, and more from fifteen vendors—this Saturday, May 7 from 2 to 6 p.m. The free event will include pétanque contests for kids and adults, a raffle, a food truck (Petite Rouge Café Camionnette), and face painting in the garden at Alliance Française. La Brocante will take place at Alliance Française, located at 1519 Jackson Avenue. A list of French vocabulary will be distributed at the entrance so attendees can try to sell and buy in French. Fifteen vendors will sell a lot of inexpensive items such as clothes, jewels, shoes, toys, DVDs, decorations, small furnitures, collectibles, kitchen ware, small electric household appliances, vintage items, and more.